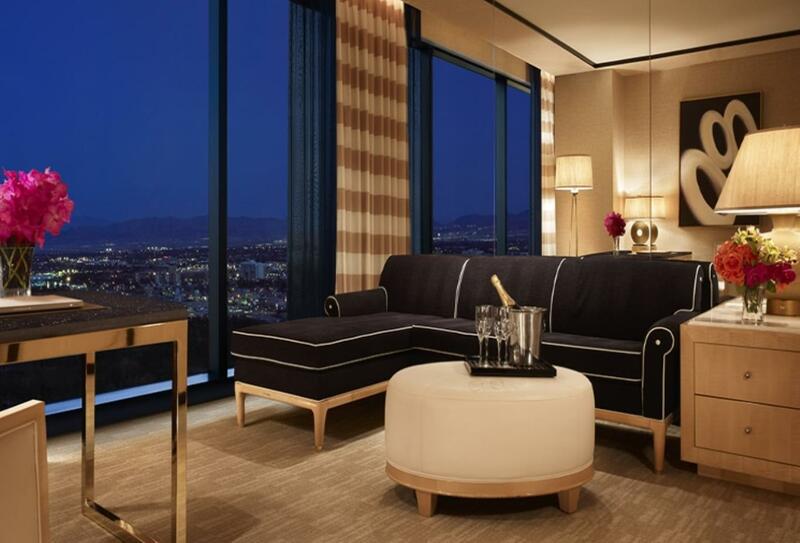 Sister hotel of the award-winning Wynn, Encore Las Vegas promises what it says on the tin – ‘more of the same.’ Enjoying a vibrant Vegas atmosphere, guests have a choice of five-star suites and are free to make use of the many restaurants, bars, pools, spa and casino. And just behind the building, hides a whole country club and PPGA Golf Course. Offering a panoramic view, these suites blend bright neutral décor accented with natural light from floor-to-ceiling windows. The stylish Parlor Suites have a generous living area and a desk with a view, plus separate bedroom and kitchenette. 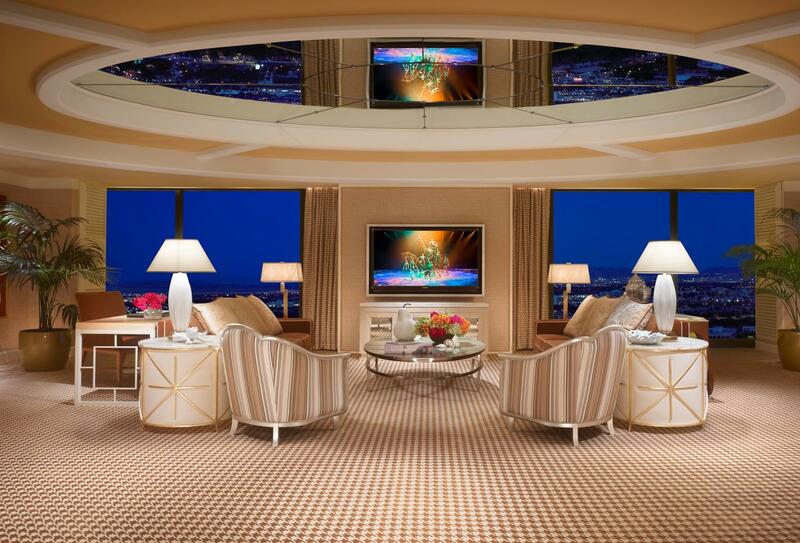 These suites blend bright neutral décor accented with natural light from floor-to-ceiling windows. 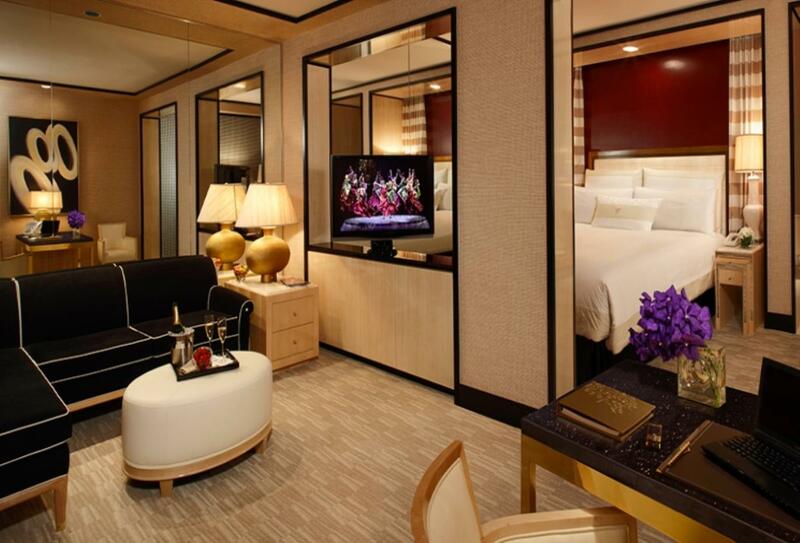 This huge suite offers plush living and dining space, in addition to a bar, separate bedroom and vanity area. 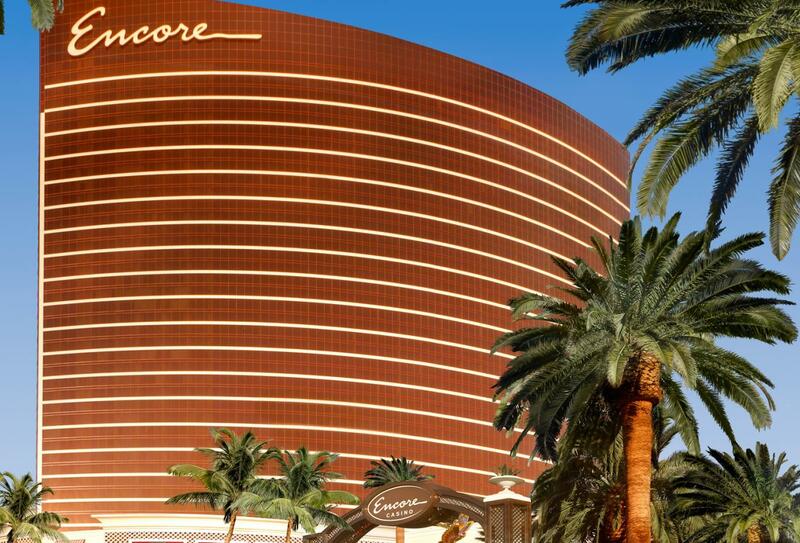 Adjacent to The Wynn, Encore offers all the glamour and amenities of a luxury Vegas resort with a more peaceful ambience – newlyweds will think they have struck lucky with this hotel! Asian-inspired cuisine in an award-winning, sleek and chic environment. Specialising in seafood, Costa Di Mare offers Italian and other Mediterranean dishes. Overlooking the 18th hole of the hotel’s golf course, a steak at the country club offers a satisfying way to end the day. The clue’s in the name. Operating an ocean-to-table policy, this charming seafood restaurant overlooks the Lake of Dreams. You’ll find fresh sushi and sashimi among other Japanese favourites at Mizumi. Functioning as a shrine where you can dine, this tribute to Frank Sinatra serves classic Italian cooking in a swinging retro environment. Steakhouse combining the good old fashioned elements of quality cuts of meat with live entertainment. Light and bright, this elegant venue offers seasonally-sourced ingredients for breakfast, lunch and dinner. A Michelin-starred Chinese restaurant with lavish gold decorations complementing a traditional oriental ambience. 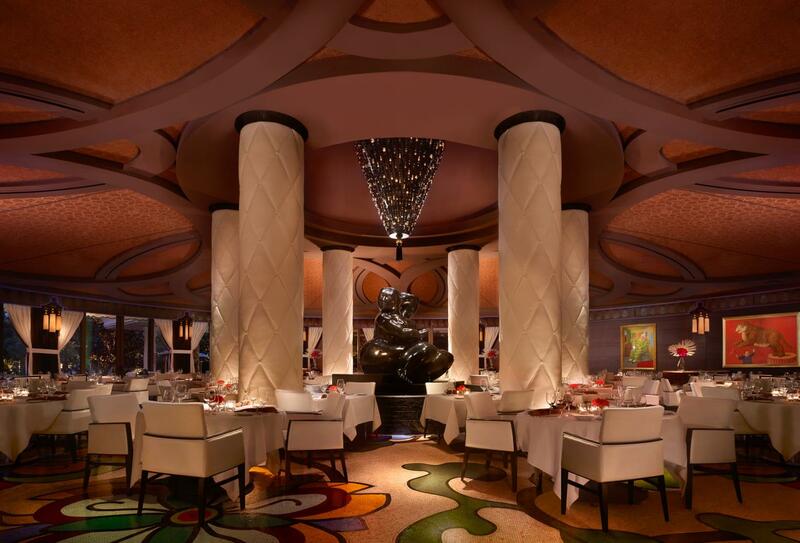 Every Restaurant at Wynn offers a great range of vegan options, while guests seeking a more casual dining experience have a choice of more relaxed restaurants, including a buffet restaurant and several cafes. The iconic strip on South Las Vegas Boulevard is right on your doorstep and is only a 15-minute car journey from McCarran International Airport.